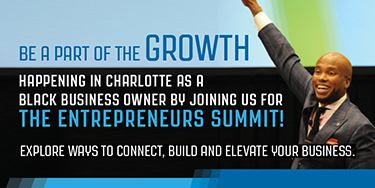 One of the most powerful sessions you’ll discover at the 2014 Black Enterprise Entrepreneurs Conference – “Get On The Shelf” – offers strategies for small companies to get their products sold through major retailers like Walmart. One such entrepreneur is Stephen Gilchrist, CEO of GSL Distributors L.L.C., a Columbia, South Carolina-based direct store delivery company, who found an inventive and lucrative way to place his favorite snack food on the shelves of the world’s largest retailer. Here we share how Gilchrist, a speaker at this year’s conference, did it. In July 2011, Gilchrist discovered what would become his biggest deal while eating his favorite childhood snack–pork rinds. He walked into a convenience store to grab a newspaper and cup of coffee. After noticing a bag of Wallace’s Old Fashioned Pork Skins, he purchased the treat to share with his wife, Tammie, at home. Later, as the two munched on the snack, they tried to figure out how to place the product on Walmart’s shelves. That meeting led to an inventive and lucrative arrangement between Wallace’s and GSL as the distributor which would place the products in Walmart outlets and, in turn, receive 5% of gross sales of every bag sold in those stores; a percentage goes to Gilchrist’s other company, Palmetto Brokers, for brokering the deal. Since the product hit Walmart’s shelves in September, Wallace’s has generated gross sales of $325,000 from Walmart locations in South Carolina, North Carolina, and Georgia. GSL is a delivery and logistics firm with top-shelf clients like Snyder’s Pretzels and Bimbo Bakeries (which acquired George Weston Ltd., manufacturer of Arnold and Entenmann’s baked goods). Gilchrist’s quick thinking and hard work have paid off: In 2013, GSL grossed roughly $2 million in sales. Gilchrist, 42, has developed his enterprise over the past decade through tenacity, market research, and relationships that were often initiated through serendipitous encounters. It was while attending South Carolina State University as a music and performing arts major that Gilchrist obtained an internship with the South Carolina General Assembly’s legislative black caucus–one of the few students to do so who didn’t major in political science. Gilchrist researched bills that affected the state’s African American residents. In 1991, the 19-year-old caught the attention of state Sen. John Drummond, chairman of the Senate Finance Committee and one of the state’s most powerful legislators, who hired him as a research analyst. The experience “opened me up to a whole new world of what influence, opportunity, and entrepreneurship were all about,â€ says Gilchrist. Those early experiences led to stints as a community development coordinator for the Greenwood Area Chamber of Commerce; as the youngest assistant county administrator in Greenwood County; and as division director for the state’s Department of Social Services, among other positions. 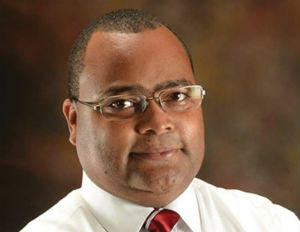 In the late 1990s, Gilchrist left the public sector to become an entrepreneur. About eight years ago, he and his business partner, Thomas Simuel, set up Palmetto Brokers, a research and consulting firm. Gilchrist has 15 employees — half of whom work full time while the others are independent contractors — and 15 trucks. Increasing fuel expenses is a major concern of trucking companies, since higher prices cut into profit margins. Small trucking companies like GSL in particular are affected by higher fuel prices. As a result, Gilchrist was forced to consolidate some routes during the economic downturn to help minimize shipping costs. A chance meeting with an executive from George Weston Bakeries, a Canadian company, led to the development of GSL. With Simuel, Gilchrist arranged to acquire the distribution subsidiary of George Weston for about $90,000, putting down 20% of the purchase price and obtaining financing from the seller over a five-year period until they owned the company outright. GSL is now 100% black-owned. Gilchrist views GSL’s deal with Wallace’s as critical to the company’s growth. It took about two years, but the eager entrepreneur was able to convince Walmart from his experience working with Bimbo and Snyder’s (both companies supplied food products to the retail giant). He also developed a sound plan with Wallace’s that demonstrated the company’s ability to produce the quantities of pork skin snack to meet Walmart customer demand. 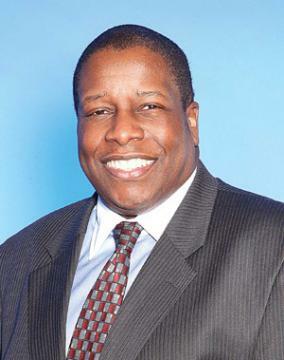 Michael Byron, Walmart’s senior director of supplier diversity, first learned about the reach and prowess of Gilchrist when he was inquiring about distributors at a U.S. manufacturing event in the Palmetto State. His source came from the top: Governor Nikki Haley. The key to growth is sales volume. In South Carolina, Walmart stores carry Wallace’s eight best-selling flavors, while stores in other states have approved to carry five to seven. Of course, GSL is leveraging its deal with Walmart and Wallace’s to negotiate other huge distribution contracts, but Gilchrist won’t rest until all Walmart outlets have some skins in the game.